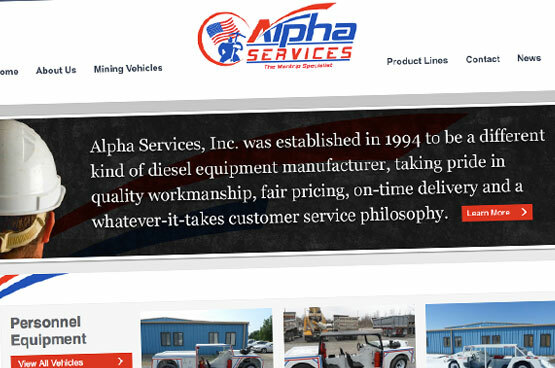 Alpha Services, Inc. is a full service diesel equipment manufacturer company providing a complete line of underground mining vehicles in a modern 12,000 square foot facility. 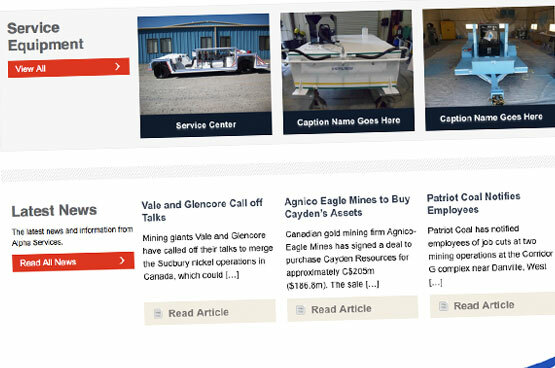 They carry and service personnel carriers, maintenance vehicles, flat beds, and parts haulers for the mining industry. The Vertebrae Group was called in to consult on their internet strategy and create an online presence for the company. 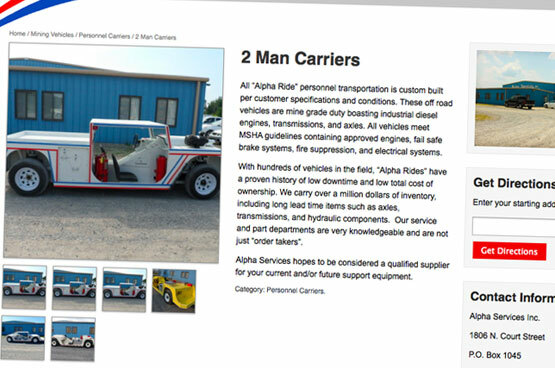 We worked with team members from Alpha Services to create a website that not only helped them promote their products and services but also increase exposure through search engine optimization. The Vertebrae Group developed a website that fit within their budget and included a Content Management System to keep the site current and fresh with new content.